I had a vision when I started to take over the business from my father. In this vision I wanted to revive the Biedermeier style in Vienna, in its original capitol. As a first step, I dreamt up a beautiful secretary based on the work of art produced by Joseph Schwarz, a Viennese master cabinet maker in 1816. I studied the piece carefully in order to identify what is essential to its form. Once I discovered them, I removed all inessential elements of the design and brought the original shape to the fore, leaving on it my own distinctive mark. Finally combined this revisited design with the motifs of Austria’s greatest painter Gustav Klimt. 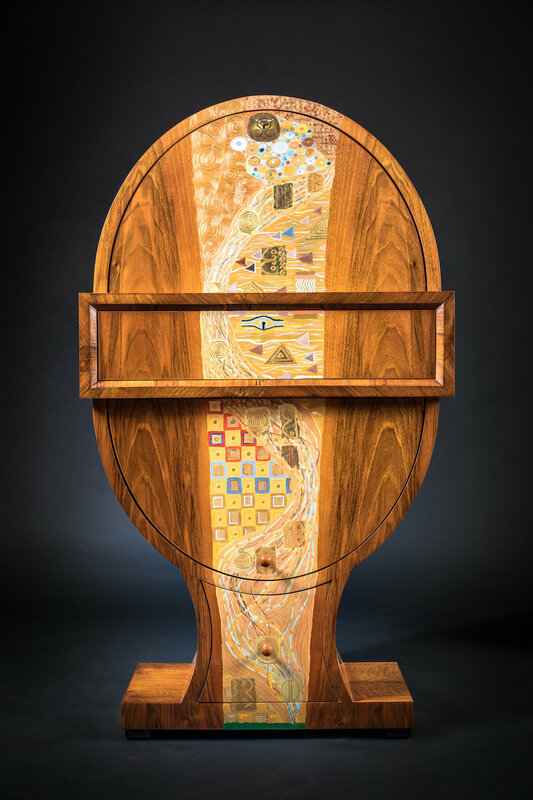 The result of this work is a secretary with a highly unconventional, egg shape finished with traditional, handmade french polish. The piece is decorated with 23 karat double gold leaves and beautifully painted Klimt motifs. 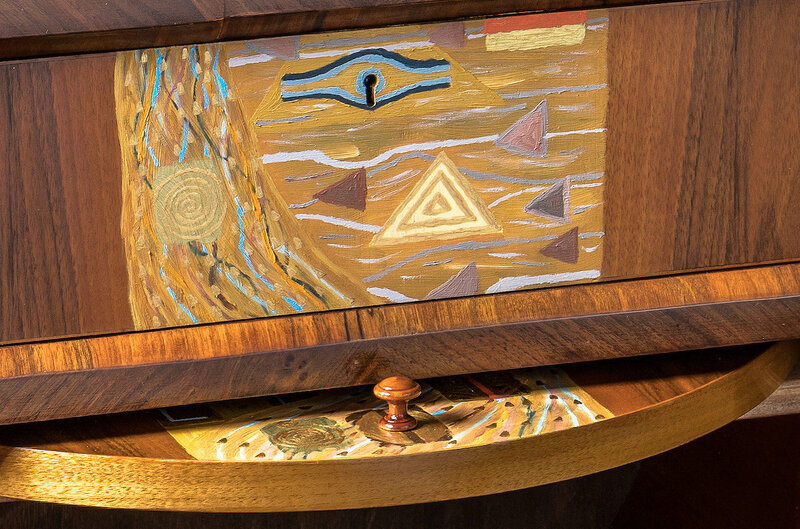 This secretary was presented by our brand ambassador, Maria Yakovleva in 2017 for the 155th anniversary of Gustav Klimt’s birthday at the Masterpiece Collection in 2017. 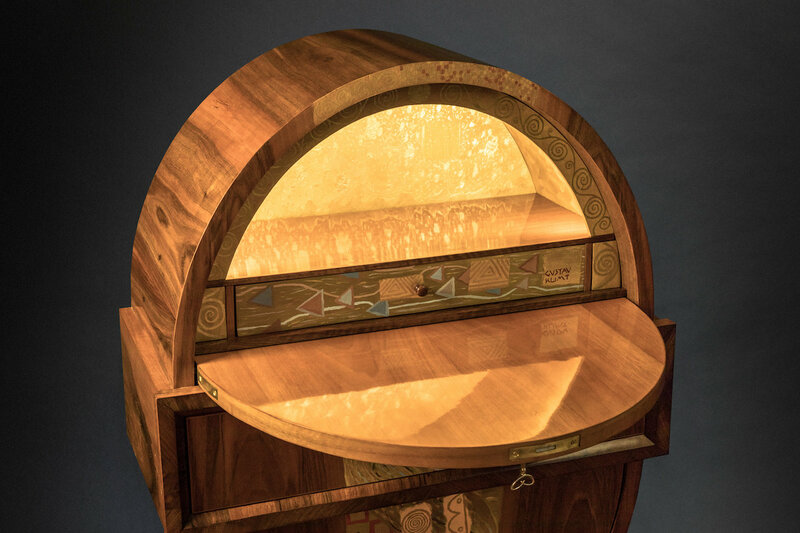 The Klimt Secretaire is produced in a limited series of only nine pieces. Its dimensions are: 128 x 73 x 35 cm.